Join us for upcoming events, classes and programs at Montville Township Public Library! All events are free and open to the public. Registration required where noted. When registration is required, non-Montville cardholders can register one-week before the event. Thursday, Apr. 25, 1 p.m.
Thursday, Apr. 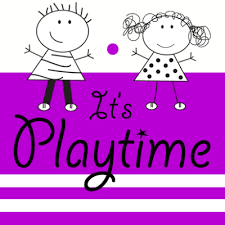 25, 4:00 p.m.
Come join us and make a fun craft! All ages welcome. No registration required. Explore new ways of finding recipes, discovering foodies and chefs online, finding online cooking demonstrations, and more! Friday, Apr. 26, 11:00 a.m.
Come join us and color! Coloring sheets and crayons provided. All ages. No registration required. Friday, Apr. 26, 1:00 p.m.
Join us for Baby Lego Time! All ages welcome. No registration required. Vote on a game to play - compete with your friends, win gift cards! Friday, Apr. 26, 4:00 p.m.
Come join us for some Picture Bingo Fun! All ages welcome. No registration required. Hang out at the library after closing! We'll watch a movie, play games, or do some crafts. The March Lock-in will start with a leprechaun-themed escape room. Snacks will be provided. Please arrive by 6:15; the doors will be locked after that point. Learn about computer science, coding, and other girls who code during this five week club in a supportive environment! Participants are strongly encouraged to attend all five sessions. Join us for crafts, games, and a taste of Ramadan! All ages welcome! Registration required. Monday, Apr. 29, 11:00 a.m.
Monday Matinee: "The Front Runner"
Monday, Apr. 29, 1 p.m.
( 2018 113 min.) In 1987, U.S. Senator Gary Hart's presidential campaign is derailed when he's caught in a scandalous love affair. Starring Vera Farmiga, Hugh Jackman, J.K. Simmons. Adults only. Seating on a "First Served " basis. Monday, Apr. 29, 4:00 p.m.
Come join us for some Lego Fun! All ages welcome! No registration required. We will continue our experiments to design and build a working wind turbine. We will be working entirely from scratch. Monday, Apr. 29, 6:30 p.m.
Actual difficult cases examined and discussed to help the genalogy researcher get over "brick wall" obstacles encountered during research. Registration required. Adults only. Registration opens on March 25th. Non-native English speakers are invited to join this group and practice talking in English in a comfortable, relaxed setting with library staff. Drop-in and do some crafts!